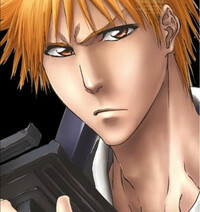 Time for the last Bankai? It is already known that the new Naruto SD: Rock Lee no Seishun Full Power Ninden is taking over Bleach's time slot, however the fate of the show itself has been unknown. 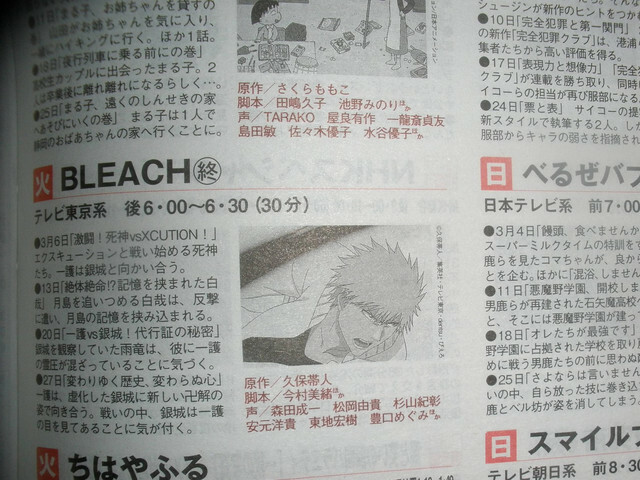 Most of the 2ch matome blogs are taking this image to mean that episode 366 on 3/27 is the last epiode of Bleach and that it is not simply a timelot change and/or rebranding. Bleach animation director Hiroki Takagi also posted this image to his twitter and has been replying to other twitter users about it, suggesting that it is indeed true. However, it should also be noted that this image is missing an ending mark on Chihayafuru which is known to be 25 episodes based on NTV's website. Everyone ready for what seems to be the last bankai?